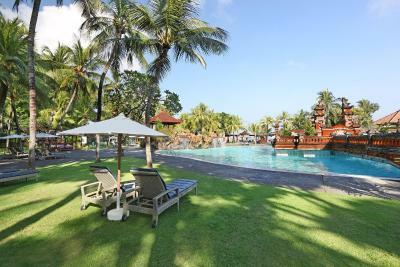 Lock in a great price for Bintang Bali Resort – rated 8 by recent guests! 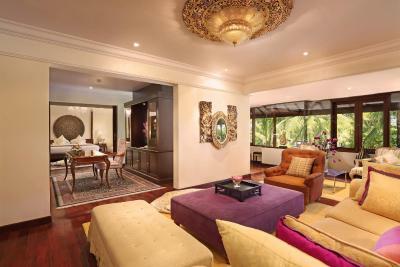 The property was a very large and well maintained. The pool was very big and clean with a swim up bar. 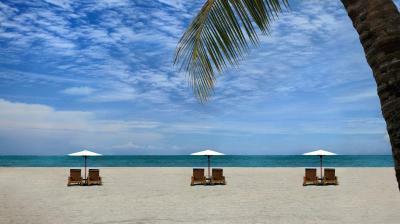 the beach was very clean and very expansive. There were plenty of good, various menu type (Italian, Vietnamese, Irish, German, etc.) restaurants all within walking distance as well as a lot of shopping. Resort on a very busy street but inside the resort you cannot hear the street noise. The pool is great, and there was as a hot tub and cold tub. The pool bar & basketball hoop were nice. Breakfast was great with a very wide range of things to pick from, there is for sure something for everyone (even picky eaters). 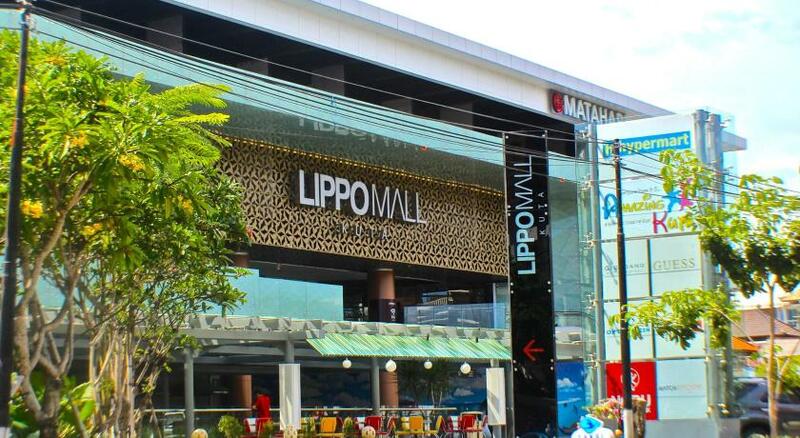 The location is very good with lots of restaurants close, 2 shopping malls very close, & lots of little shops close. Even with all the busyness going on so close by, the resort itself is secluded & felt very private. The airport shuttle was convienent. We liked the sunset views from the property. They upgraded us for free due to low occupancy which very much appreciated. Staff very friendly and happy. Really quiet, away from Noisy kuta. Great staff. Tidy quiet rooms. Nice balconys and views. Well maintained property. Fantastic free breakfast and airport ride. The staff were very apologetic about our disappointment with our room and refunded our money. I am a bit of a room snob. If all you want is a room thats clean it would do just fine. Very friendly and helpful staff except gift shop; excellent breakfast with lots of choices for most national tastes. I didn't like anything at all, the wifi did not work and the breakfast was also very limited. The staff was not helpful at all. 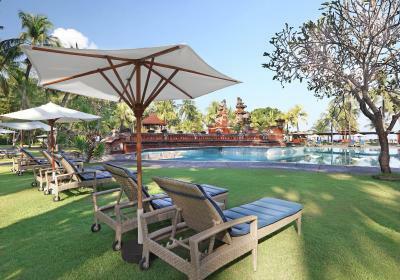 Bintang Bali Resort This rating is a reflection of how the property compares to the industry standard when it comes to price, facilities and services available. It's based on a self-evaluation by the property. Use this rating to help choose your stay! 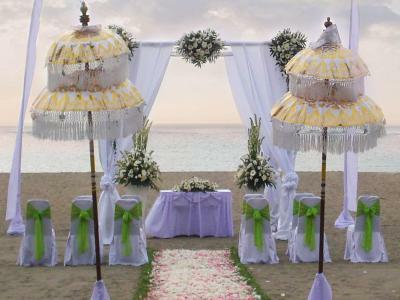 One of our best sellers in Kuta! 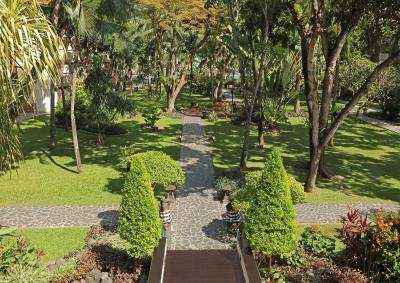 Set amid a tropical landscape, Bintang Bali Resort is a 5-minute walk from Kuta Shopping Center. 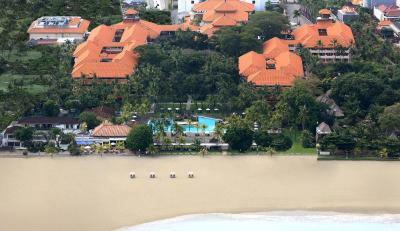 It offers a private beach area, an outdoor swimming pool with cascading waterfall and free parking. WiFi access is provided for free throughout. 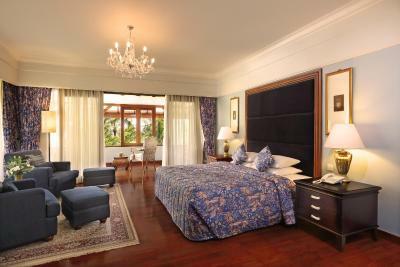 Modern décor and hardwood flooring feature throughout the rooms at the 5-star resort. 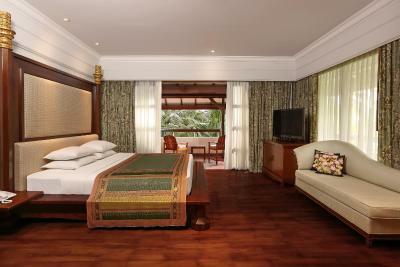 Each room is equipped with a TV, and has a private balcony that overlooks the garden. A bathtub and toiletries are provided. 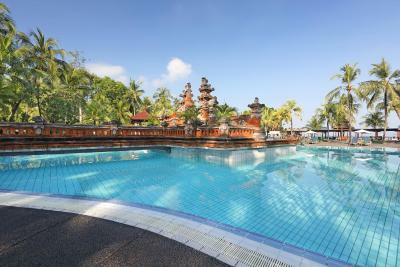 Bintang Bali Resort is a 10-minute drive from Ngurah Rai International Airport. 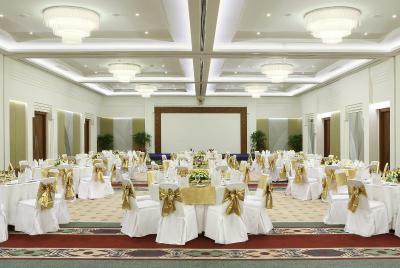 It is 2,150 feet from Tuban Beach, Kuta Center and Discovery Shopping Mall as well as Lippo Mall Kuta. 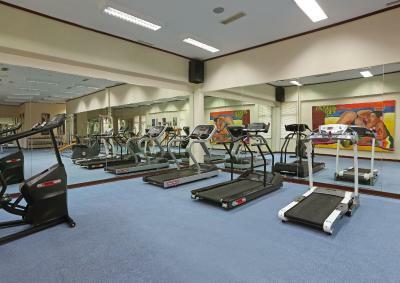 Guests can enjoy a relaxing massage at the spa or work out at the fitness center. 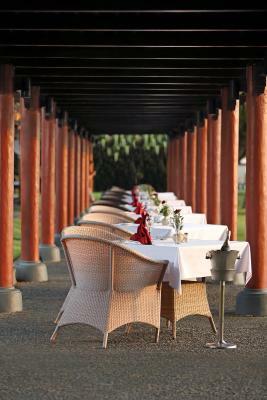 The resort also has a tennis court, hot tub and provides bicycle rental services. 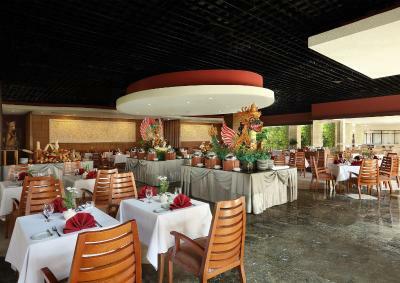 La Brasserie Restaurant serves a buffet spread of European dishes. 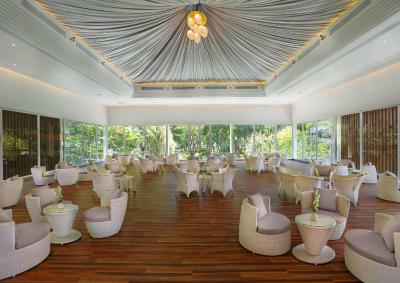 Other dining choices include refreshing beverages at Grand Lobby Bar and Sedap Malam Lounge. 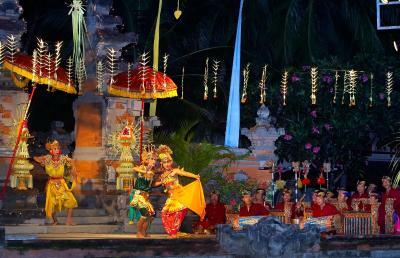 This is our guests' favorite part of Kuta, according to independent reviews. 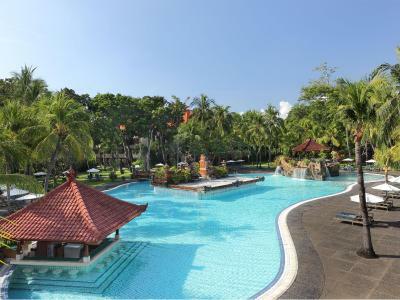 This property also has one of the top-rated locations in Kuta! Guests are happier about it compared to other properties in the area. 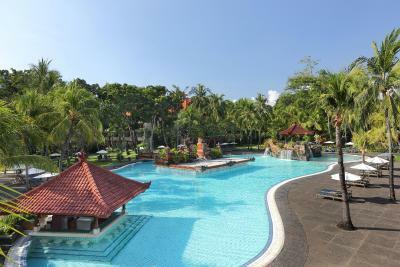 뀐 Located in the top-rated area in Kuta, this property has an excellent location score of 8.6! 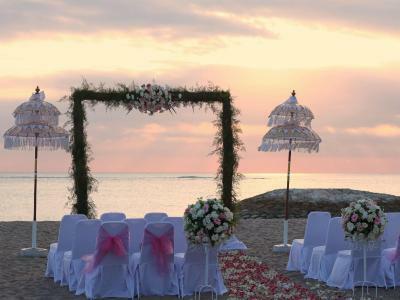 When would you like to stay at Bintang Bali Resort? Featuring a four-poster bed, this large air-conditioned room is equipped with a flat-screen TV, a personal safe, ironing facilities and a refrigerator. Private bathroom comes with a bath, a hairdryer, slippers and free toiletries. This room can accommodate 1 extra bed for children. Guests enjoy late check-out until 14:00, excluding stays on July, August and December. Guests staying minimum 5 nights get one-time airport drop-off. 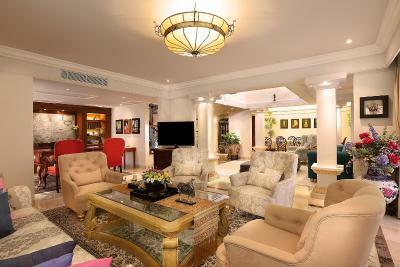 Offering a separate living area with sofa and a balcony, this spacious suite is equipped with a flat-screen TV, a personal safe, ironing facilities and a refrigerator. Private bathroom comes with a bath, a hairdryer, slippers and free toiletries. Featuring a private terrace with seating area, this room has air conditioning, a personal safe, a refrigerator and a flat-screen TV with satellite channels. The private bathroom is stocked with a hairdryer, slippers and free toiletries. This family room has a balcony, satellite TV and an electric kettle. It also has a personal safe, a refrigerator and a flat-screen TV with satellite channels. The private bathroom is stocked with a hairdryer, slippers and free toiletries. 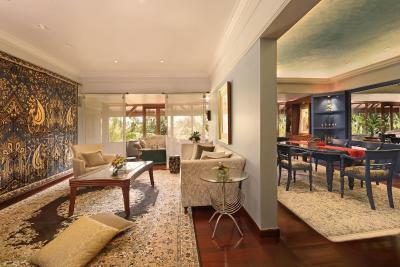 It can accommodate up to 4 adults or 2 adults with 2 kids. 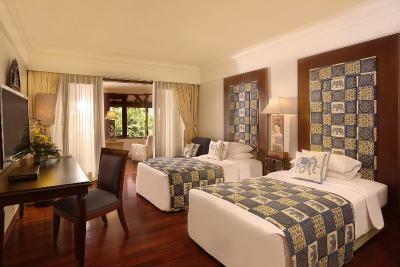 Two non-interconnected deluxe double or twin rooms, each features a private terrace with seating area. 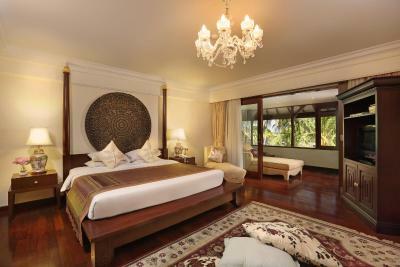 Each room has air conditioning, a personal safe, a refrigerator and a flat-screen TV with satellite channels. The private bathroom is stocked with a hairdryer, slippers and free toiletries. This interconnected 36-m2 room features air conditioning, a personal safe, a refrigerator and a flat-screen TV with satellite channels. The private bathroom is stocked with a hairdryer, slippers and free toiletries. 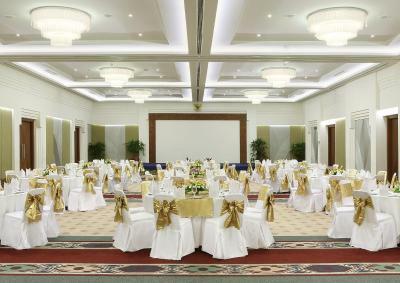 Guests enjoy a 1-time dinner and return airport transfer with every 2 nights stay. This room already comes with an extrabed, therefore cannot accommodate another one. This elegant room comes with 2 bedrooms and 2 private bathrooms. 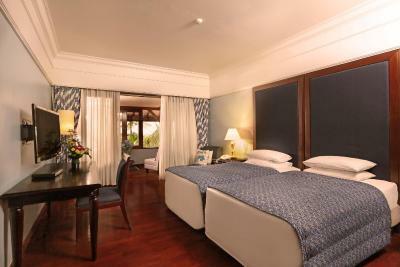 Appointed with classic design, each room has a balcony overlooking the pool and the ocean. A kitchenette, separate living and dining areas are available. Butler is available upon request. 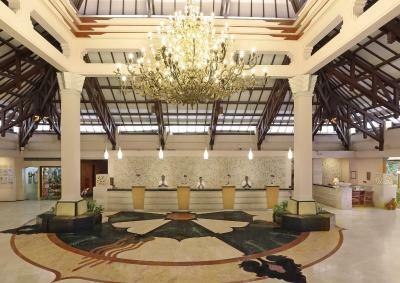 House Rules Bintang Bali Resort takes special requests – add in the next step! 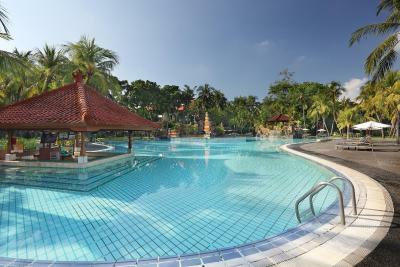 All children under 12 years are charged IDR 160000 per night for extra beds. 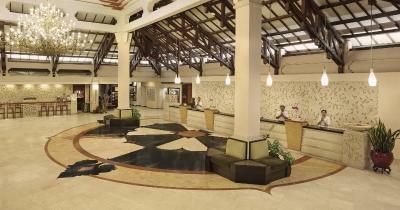 Any additional older children or adults are charged IDR 524000 per night for extra beds. 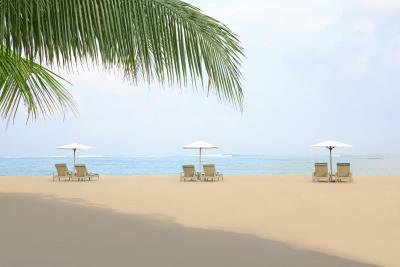 Bintang Bali Resort accepts these cards and reserves the right to temporarily hold an amount prior to arrival. The location and the pool. There were renovations going on at the swimming pool which ruined the view and atmosphere. We were not informed of this when booking. Bad sewage smell outside our room, leaking roof outside our room. Beach infront of the hotel was full of rubbish. The toilet of the room is a little outdated and the wifi service is very slow and disconnects most of the tind. Old property, need proper upkeeping of some areas. Need to add some good vegetarian options in breakfast. Great staff, good breakfast options, good location. Grand entrance, breakfast, rooms, pool, location all 5 Star. Will definitely stay again. The bathroom in the room looked unclean. But this is absolutely NOT the housekeepers’ fault. The washbasin, bathtub and especially the water closet was very old and wornout. The boss should do some change and renovate the bathrooms. One more thing we didn’t enjoy was the food. We much better food in nearby restaurants. Every single personel in all departments of the hotel was super kind and smiling. They work hard to make you feel happy and special. Their room service. Their breakfast timing The English language of the staff. Everything was normal , nothing special to like. 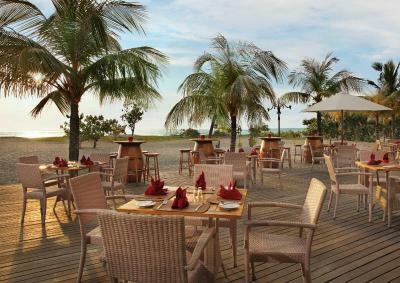 A lot of people don't like the Kuta area but it wasn't busy (March 2019) and has plenty of good reasonably priced food. Pool was open but had construction work around the edges and jacuzzi was closed during my stay. Comfortable big room overlooking mature gardens. Breakfast selection was good and quality was ok. Very welcoming staff. Plenty of peaceful areas to sit around the large resort. Generally a bit dated now but still a pleasant stay. Big bath with plenty of hot water available. Lack of warm greeting smile from reception counter staff upon check in n check out. Regardless of guest racial background. Breakfast buffet spread is good. My room always clean when we came back from touring. Got a nice room facing central garden.